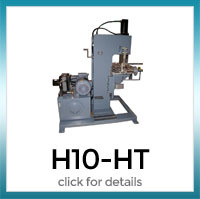 Heat Transfer Equipment is similar to Hot Stamping Equipment and is applied in almost the same manner. 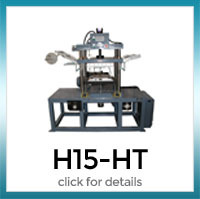 It utilizes heat, pressure, and precision timing to decorate an object. However, in this type of decorating, the film carrier is printed with a multicolored image that is transferred. 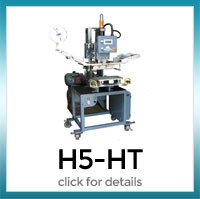 Accurate indexing of the transfer is necessary to ensure correct placement of the image on the object. 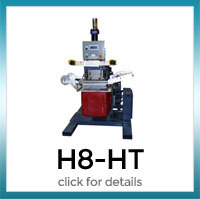 Heat Transfer is an ideal method to use in plastics, rubber, metal, glass and textiles. 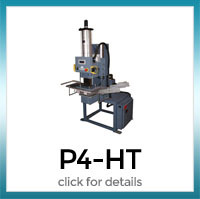 This type of equipment can be used on flat or contoured parts and is the perfect process for single step multicolor transfers.